AEM's air intake system for the 2015+ 2.0L turbo Sonata is designed to produce maximum horsepower and torque gains. They replace the restrictive factory airbox and air filter to give you better performance and better engine sound. 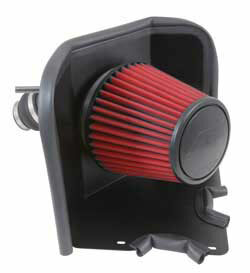 AEM cold air intakes relocate the air filter outside the engine compartment so cooler air can be fed into your engine. Cooler air carries more oxygen, which translates into a more intense explosion in the combustion chamber for more horsepower and torque. AEM Cold Air Intakes include an oversized AEM Dryflow synthetic washable air filter for outstanding air flow, filtration, and performance while allowing easy oil-free cleaning. 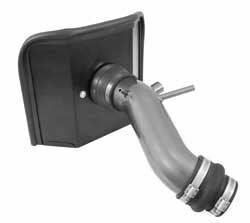 They include a mandrel-bent aluminum intake tube and high quality hardware designed to reduce restriction and reduce intake temperature. The design and components of each intake system vary so consult the installation instructions for more information on the contents of each part number.